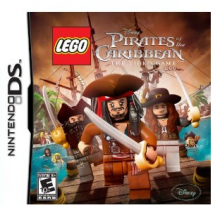 Wow, this is another great deal from Target.com on the Nintendo 3DS Console. Right now you can buy one, get one 50% off. Making each console only $112! This is the lowest price I have ever seen on the 3DS. The console is already on sale at $20 off, this is the lowest price available. If you don’t need two, find another family to get this deal with you! It’s such a great way to save. Just add two 3DS consoles to your Target.com shopping cart and the discount will automatically be applied. If you buy 2, your total is only $224.98 plus tax. You must use “Seasonal Shipping” and order by 12/20 to get this delivered to you by Christmas! 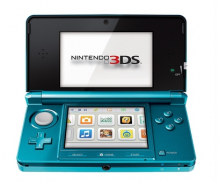 Shipping on the Nintendo 3DS in Blue is free, all other colors $10. Amazon.com has the Kinect with “Kinect Adventures!” and downloadable versions of “Gunstringer” and “Fruit Ninja Kinect” right now for $99 shipped, this is regularly $149.99! 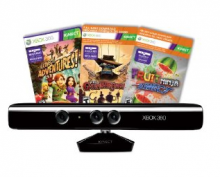 This is the lowest price I’ve seen for the Kinect, even during “Black Friday” sales! Head over to Amazon.com here to see this game console and more. Free shipping with Amazon Prime and Super Saver Shipping! Today Only! Save 20% on Nickelodeon Books & Games! LeapFrog is having a “One Day” sale on their Nickelodeon books and games. You can get up to 20% off on most games and books. Head over to LeapFrog here and check out their sale. Use code: NICK20 at check out to get your 20% off. They are offering free shipping on purchases of $60 or more. The LeapFrog Leapster Explorer Bundle has just been marked down to $79 from $84.97. This is a great price since you’ll be getting the game and the software. You get to choose form 15 different software options too. Head over to Walmart.com and check out this online deal. They can have it shipped to you for FREE by 12/23. Today is LEGO Day over at Amazon.com. You can get up to 33% off on select LEGO games. Here are a few of the hot deals. Head over to Amazon.com to check out the rest of the available games! 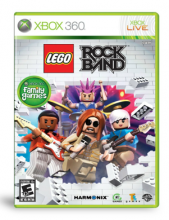 Offers Dec 7, 2011 in Amazon, games, Lego · Expired! Here’s a hot deal from Amazon.com! Get “Just Dance 3” for the Wii and the Xbox 360 for only $25.99. regularly priced $39.99. Plus you can get it shipped for FREE with Amazon Prime! This is a one day deal, tomorrow the price will be back up to $39.99. Head over to Amazon.com here to see this deal. 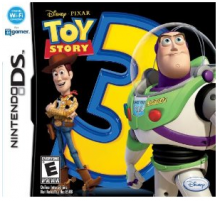 Dec 5, 2011 in Amazon, games, holiday, Wii, Xbox · Expired! YoYo.com has a new coupon code for $10 off any purchase of $10 or more. You just have to pay shipping plus anything additional over the $10. You can actually get several toys for FREE with this code. Shipping starts at $4.99 or get FREE shipping with any order over $49.99. 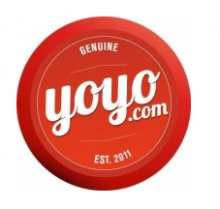 Head over to YoYo.com here and check out the $10 deals! Use code: YOYODEC at checkout to get your $10 off! Target.com has really great deals coming up for the holidays. Deals you won’t see at the stores, these are online exclusives. Today they have B1G1 50% off select toys.